The Hayling Island Station Theatre is run by HIADS (Hayling Island Amateur Dramatic Society) who put on their own plays, show blockbuster films and host many other amateur and professional groups. In the 1990s HIADS, who were formed in 1947, needed to find a new theatre to put on their performances and found a disused railway building that was suitable for conversion. After a huge effort they converted the building into the Station Theatre – a modern, comfortable, well equipped, 144 seat theatre. If you would like to find out more information about HIADS, then please visit the HIADS website where you can find out about the history of HIADS, what they are up to and how you can join up. 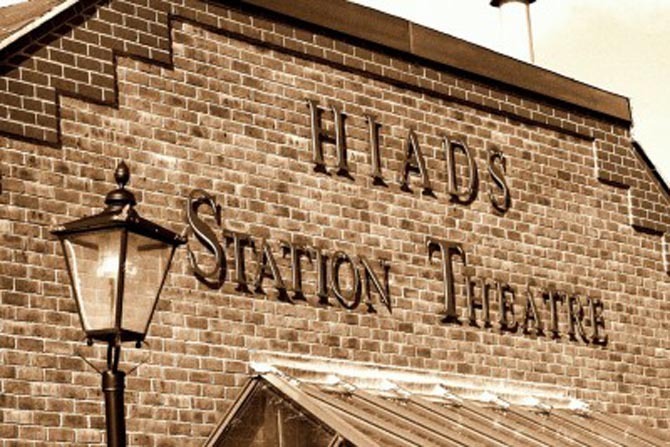 HIADS are always looking for new members who can take an active part in producing shows (acting, directing, set building, lighting, sound, etc) and also who can help out with general theatre activities (box office, front of house, maintenance, publicity, etc). If you have talents going to waste then why not bring them to HIADS and join the team that’s been bringing live entertainment to Hayling for over 60 years.